The ensuing excursus in the history of farmers’ cooperativism and workers’ participation brings into visibility a variety of partly non-capitalist processes of collective self-activity. These have operated alongside and intertwined with a state-dominated market economy involving a multitude of small business, an under-industrialised production and a large service sector (commerce, tourism, finance etc.) (Angelidis 2007; Milios 2013). Taking our cues from the constructive critique of ‘capitalo-centrism’ put forward by Gibson-Graham (2006), we adumbrate here the historical contours of a heterogeneous economy which is not fully captured by any single logic, global force or sovereign structure. Impure mixtures of economic practices, conflicting politics of social cooperation and ethics of solidarity, singular, fragile initiatives of self-management disclose moments of tension, openness and diversity in a hegemonic state-capitalist configuration driven by other determinations. The thrust of this analysis is that if we can begin to see alternative activities and dimensions as diffused, viable, and persistent over time, ‘we may be encouraged here and now to actively build on them to transform our local economies’ (Gibson-Graham 2006, xxiv).‘[F]uture possibilities become more viable by virtue of already being seen to exist, albeit only in the light of a differentiating imagination’ (ibid., xxxi). Agriculture and farmers’ cooperatives lie at the heart of productive activity where social collaboration and producers’ self-management expanded themselves in modern Greek history. Primal associations for the common rearing and marketing of sheep (‘tselingata’, ‘koinata’) had existed for centuries, long before the establishment of the modern Greek state. Perhaps one of the world’s first industrial-agricultural cooperative was founded at Ampelakia in central Greece in 1780, dealing with the production and export of purple cotton yard (Young 1984; Nasioulas 2012, 156). The enactment of the first law on coops in 1915 marked the onset of a large farm cooperative movement. In the first decade thereafter, the endeavours of the first agricultural and urban coops, bolstered by prominent champions of cooperativism at the time, resulted in the creation of 2500 primary agricultural coops, most of which provided credit to fight the plague of usury that ruined common farmers (Kamenidis 1996, 138; Kroustallaki-Beveratou 1990, 125, 130-131). The ups and downs experienced by agricultural cooperativism since then reflect the impact of historical upheavals, political interferences, inappropriate legal frameworks and the lack of internal cohesion and commitment of its members (Papageorgiou 2010, 34). Yet the number of first-degree local associations has ranged between 5000-7000 throughout most of this period to-date, involving 500 000 to 750 000 farmers on average (PASEGES 2013; Young 1984; Kamenidis 1996, 138). Rural coops have overshadowed all other types of cooperative activity in the social economy of modern Greece, representing nearly 90% of the total (Young 1984). In the times of Metapolitefsi, after the fall of the Colonels’ junta in 1974, primary, regional and national unions have concentrated on the provision of agricultural inputs (machinery, fertilisers, feed grains etc. ), the handling of agricultural products (cereals, olive oil, tobacco, fruits and vegetables etc.) and services (training, transportation and advertisement, among others) (Papageorgiou 2010, 37; Kolumvas 1991, 96-98). 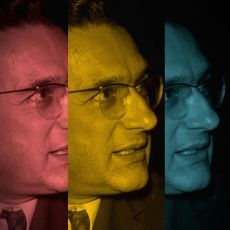 These types of producers’ association have broadly adhered to the international principles of modern cooperativism: democratic control of individual associations and their higher-level confederations, production attuned to social needs, local and ecological conditions, mutual aid (Kroustallaki-Beveratou 1990, 130, 141). A number of them have displayed major economic achievements and social solidarity, while throughout its history the movement has contributed considerably to rural development, the construction of vital infrastructures and the sustenance of small farmers (Papageorgiou 2010, 38; Klimis 1991, 110-111; Kroustallaki-Beveratou 1990, 129). But it remained largely under state tutelage and political patronage since its very beginnings, preventing the rise of a self-directed and self-conscious cooperativist movement (Kroustallaki-Beveratou 1990, 130-133). In the 1980’s, the election of a ‘socialist government’ (PASOK, 1981) brought state embrace to unprecedented heights, leading to the suffocation of major agricultural coops in the late ‘80s and the early ‘90s (Papageorgiou 2010, 39). 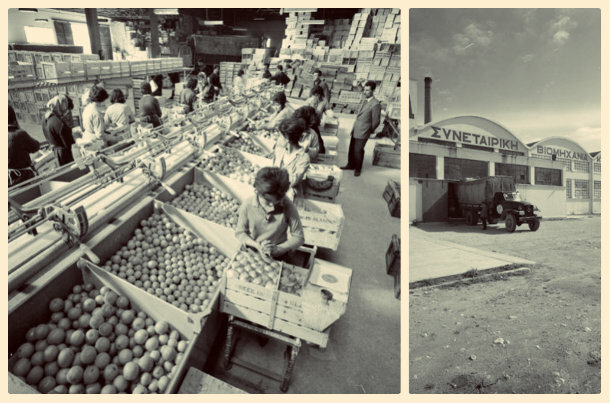 Τhe ruling party sought to use them as vehicles for the ‘socialist transformation of society’ through the creation of ‘agro-industrial complexes.’ It also employed them as instruments of its own policies in domains where it lacked expertise or efficient capacity. As a result, farmers’ coops became overstaffed, they got in debt above their solvency, they paid producers above market prices and they made investments of doubtful prospects. Party-political interventions, mainly by the socialists and the communist left, and clientelism on the part of associated farmers distorted economic policy-making in favour of private or short-sighted interests, causing mismanagement, corruption and inefficiency (Papageorgiou 2010, 39-42; Kolumvas 1991, 102-103). By the end of the ‘80s, the Agricultural Bank needed to clear outstanding debts and demanded their recovery from the government and the coops. In consequence, the latter soon became strapped for cash, they lost markets, they were forced to sell fixed assets, and key regional and national associations were dissolved to the benefit of private business (Papageorgiou 2010, 39-41). In public opinion, farmers’ coops had become synonymous with business failure, widespread corruption of political parties and farmers, dependence on heavy state subsidies, theft of public money and party political interests. Nowadays, a sizeable number of the remaining agricultural coops are economically viable and even success stories in their markets. They develop local production on ecologically responsible terms, and they sustain small local farmers against global competition and agri-business corporate models (Association of Agricultural Cooperatives of Thesprotia 2012).On the other hand, the violent neoliberal turn in government policies has also sought to assail the residues of farmers’ cooperativism. New legislation in 2011 forces primary local associations to set up anonymous corporations if they want to combine, abolishing the second degree unions, while also reinforcing state control on coops (Association of Agricultural Cooperatives of Thesprotia 2012; Law4015, 2011). Moreover, in 2012 the Agricultural Bank was sold to a private bank, leaving them with few sources of funding. In the face of this forceful assault of capital, the deep recession engendered by devastating austerity measures, the neoliberal restructuring, privatization and dismantlement of the welfare state, the institutionalized cooperative movement in Greece is seeking now to re-launch itself on new foundations. It is claiming its independence from the state political system and capitalist forces, and it is reaffirming the international principles of cooperativism: democratic self-management on the basis of equality, tight collaboration and confederation of the various associations on local, national and international levels, care for the community and sustainable development (PASEGES 2011). Greek industrial relations have been characterised overall by a scant involvement and participation of workers in industrial management. Most efforts in this direction have been sporadic, short-lived and unsuccessful in the end (Koutroukis and Jecchinis 2008, 31). Among the few instances of workers’ participation, the oldest dates back to the middle of the 19th century, when workers’ councils were operating in the emery mines of the island of Naxos. Luminous later examples include the factory councils which were set up in the shoe and tobacco industries between 1920 and 1936. In the aftermath of the military disaster in Asia Minor in 1922, social crisis was exacerbated in the mainland, triggering the mobilization of Greek labour. The trade union of tobacco workers was among the most populous, well-organised and class-conscious, maintaining close liaisons with the new Communist Party of Greece. Tobacco workers in Northern Greece initiated the most exciting experiment in workers’ participation until then. They put together informal ‘shop floor committees’ directly elected by workers themselves and they engaged in the direct self-administration of labour. The committees liaised with trade unions, overseeing the compliance of business administration with collective agreements and industrial legislation. They defended workers’ rights, promoted workers’ education on the shop floor and represented the interests of labour in struggles with capital. Despite the repressive measures and the persecution of shop floor committees that started with renewed vigour in 1929, they managed to survive and keep fighting until 1936, when Metaxas’ dictatorial regime was forcefully imposed (Koutroukis 1989, 44-47). 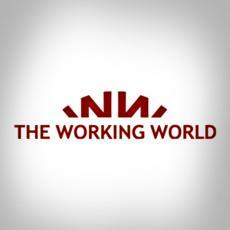 After the Second World War, participation in policy-making through labour representatives was introduced at the national level, as in the Economic and Social Policy Council. But effective workers’ control was virtually absent in most private and public enterprises. It was only in 1983 that new legislation was enacted promoting workers’ participation in line with the ‘socialist ideology’ of the new PASOK government (Raftis and Stavroulakis 1991, 294). The results however were miserable, as there was little independent mobilization on the part of employees themselves, and their actual input was overshadowed by the involvement of government agencies, political parties and trade union factions. The privatization processes which set out in the early ‘90s and continue at faster pace to-date issued the death certificate of such plans (Koutroukis and Jecchinis 2008, 35). Overall, the failure of legislative initiatives and state-driven policies championing workers’ control in the ‘80s and the ‘90s should be put down to a set of intertwined factors: the hostile attitudes and manipulative interference of business and trade unions; the culture of managerial authoritarianism in the workplace; government interventionism; the lack of a tradition of employee participation in the running of companies; workers’ demands were more general in their content and exceeded the context of particular workplaces; trade-union activism and participation in the workplace had not been institutionally enshrined for a long time; insufficient understanding, motivation, commitment and training on the part of labour; the party-political polarization of Greek industrial relations. The dismal record of workers’ participation should be also traced back to the fact that in Greek industry ‘participatory arrangements have been introduced solely through legislation, while in the USA and most Western European countries legal provisions were mainly used to validate arrangements already established by custom and practice’ (Raftis and Stavroulakis 1991, 295). It is worth noting, however, that in a dozen of cases during the same period workers took militant action and were actively engaged in the management of their industries. We will pause to consider two such instances in which workers’ control was pursued through spontaneous initiatives of the workers themselves (ibid., 297). The I. Pantelemidis Company, located in the district of Thessaloniki in Northern Greece, produced wheel rims and held a near monopoly in this field. When its founder died in 1981, his heirs declined the succession due to the outstanding debts of the company, and the rim factory faced immediate closure. 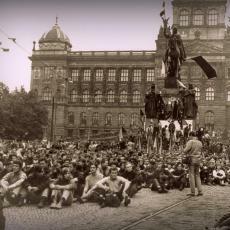 Its 23 employees mobilized to avert this danger and in November 1981 they resolved to take over the industry assisted by the local municipal authorities and the metalworkers’ trade union. This was a genuine and militant workers’ takeover. No legal framework was available for such an initiative, the company hung in a legal midair and they had to operate informally (ibid., 307; Koutroukis 1989, 50-52). Workers entertained close ties with the company and each other, as most of them were in their fifties and sixties and were employed at the factory from the start. Party and trade union politics played no role in their everyday activity and their decision-making. The General Assembly functioned as the main governing body but, gradually, a Production Coordination Committee, made up of three informally elected and revocable members, took charge of the operations of the factory. Initially, workers were excited at the prospects of their business and achieved impressive results, raising productivity by 100% in the first months, increasing their wages and reducing working hours. Later on, however, there was a drop in efficiency due to reduced enthusiasm and commitment, slack work rhythms, and lack of efficient business planning. Both objective and subjective obstacles, such as continuous bureaucratic impediments, the old age of most workers who were soon to be retired, the absence of relevant background and class and political consciousness, contributed to this unfortunate outcome. 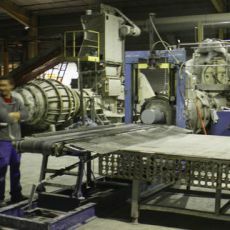 Six and a half years after the original takeover, the remaining workers of the factory turned over ownership to the municipality of Evosmos (ibid.). A similar experience was witnessed in the Koulistanidis Textile Company in the same period, again in the area of Thessaloniki. Heavy indebtedness forced the company to stop payments in February 1980. In October 1980 the remaining 117 employees asked the son of the former owner to assume the post of emergency administrator, while a court-appointed supervisor controlled all daily transactions. At the end of 1983 the burden of debts made closure inevitable, but in the meantime workers ran effectively the company without any authoritative supervision on the shop floor, managing production and carrying out transactions with banks, social security funds and government agencies. Decisions were taken collectively and often unanimously by all workers. There are many noticeable affinities with the Pantelemidis case which may help to shed light on its record. The workforce consisted mainly of labourers in their fifties and sixties who had worked together for long. They avoided party and trade union politics and they refused to form a union on these grounds. They preferred instead to operate autonomously without any formal structure, at a time when there was no legal framework or other established agency to uphold and legalise their self-activity (Raftis and Stavroulakis 1991, 302). Despite their final collapse, both instances of workers’ independent action and collective control took place in an unfavourable environment where they had to walk a solitary road without precedent. Their capacity to manage effectively their industries against the odds, lacking any relevant experience, bears witness to the latent potential of labour for self-direction. The ties they had forged over the years by labouring together and the emphasis on their independence from formal party politics and bureaucratic trade unionism underpinned their limited but exceptional achievements. On the other hand, cultural traits bearing on the construction of passive and consumerist subjectivities which are indifferent to workers’ democracy, the absence of a broader labour and social movement nurturing autonomy and solidarity, the lack of a supportive financial, legal and political infrastructure and the non-existence of any network of self-managed industries and communities explain their short life and eventual demise.